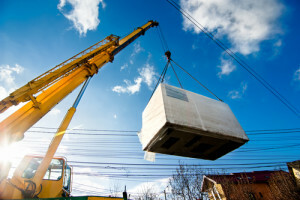 The Department of Buildings will be responsible for warning crane engineers of dangerous conditions and those who fail to comply with the department’s instructions will face much stiffer penalties. Past fines of up to $4,800 per incident can now reach $10,000 per occurrence and the heftier fines are meant to act as a strong deterrent against construction crews that attempt to continue working despite hazardous weather conditions. Prior to the accident that occurred on February 7th, crane operators were only required to notify area residents and businesses about the risks associated with a crane in their area when the crane was installed. Now the public must be notified whenever the crane is erected or moved and updates must highlight which areas are at a heightened risk so that pedestrians and motorists can seek alternative routes. The implementation of similar regulations in the City of Chicago could address similar concerns that pedestrians have when they must pass through construction zones and this most recent incident is a reminder of how quickly things can go wrong on a construction site. It can be difficult to determine who is at fault whenever such a tragedy occurs, and the responsibility is shared most of the time between the contractor, the employees operating the equipment and the manufacturer. Equipment malfunctions or poor product design can cause equipment to fail or reckless decisions can place workers and bystanders in harm’s way. If you have been injured in a construction accident, determining liability is the single most important step to ensuring that you receive the compensation you are entitled to for your injuries. Rosenfeld Injury Lawyers LLC has helped thousands of clients just like you recover the maximum amount of damages allowed by law when they have been injured due to other peoples’ careless actions. If you have been injured, contact us today to arrange a free consultation with one of our award winning Chicago construction accident attorneys to learn more about your legal options.